Perhaps you know him as Mr. Whiskers. Well, he’s back. 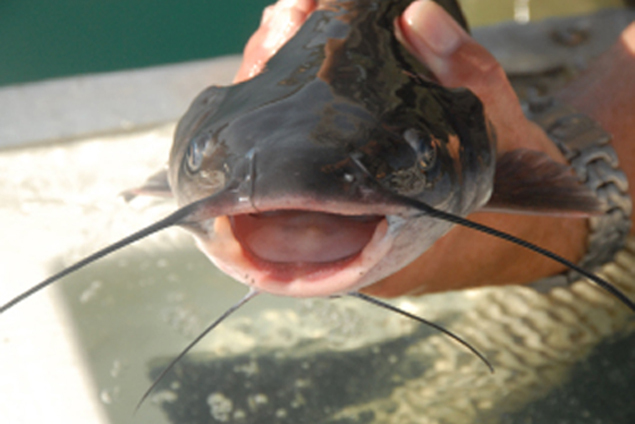 The tasty and pesky channel catfish returned to Community Fishing Program waters, beginning with “core” waters on Thursday, Sept. 22. 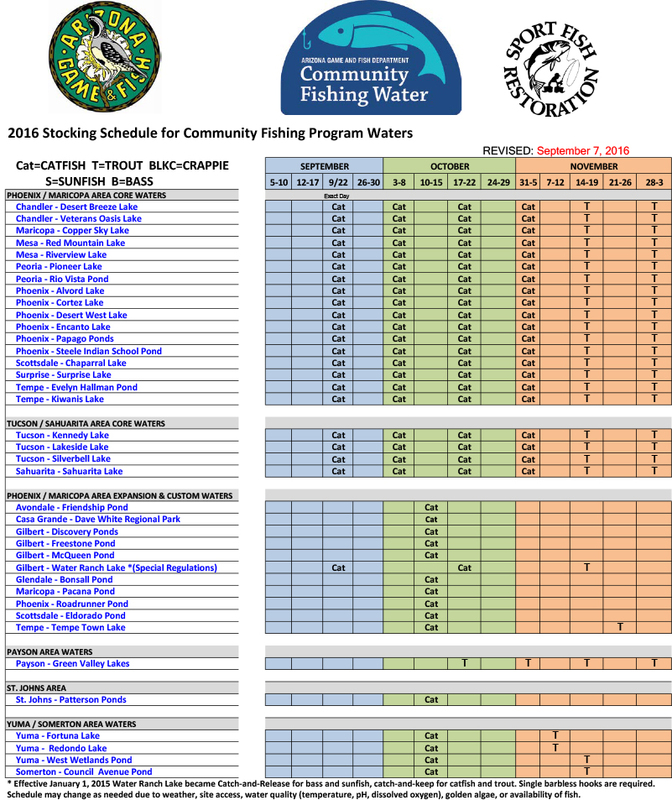 See the new Community Fishing Program stocking schedule. So how do you catch community catfish? First of all, all fishing and combo licenses allow the angler to fish with two poles or lines simultaneously (more than two poles may not be used at the same time). So try a couple different baits and stick to what works. Worms, stink baits, hot dogs, liver and shrimp (anglers can get frozen, uncooked shrimp from some discount stores) all have been known to catch cats. Try these baits on a hook and sinker setup. Find deeper holes, or fish after dark at parks that are open late. Pick up a Community Fishing Program guidebook at all AZGFD offices, and grab a license online (Community licenses are $24, valid for 365 days from the date of purchase and conserve wildlife for future generations). Whether it’s for bragging rights, just sharing your catch with fellow anglers, or getting some fresh food on the table, community fishing action is an opportunity to get families and friends in an outdoor environment close to your urban home. So get out there and let us know how you do. Head to our website www.azgfd.com/ and click on the “Submit Your Photos” link on the top-left portion of the screen.